If your source-code repository provides metadata (i.e. 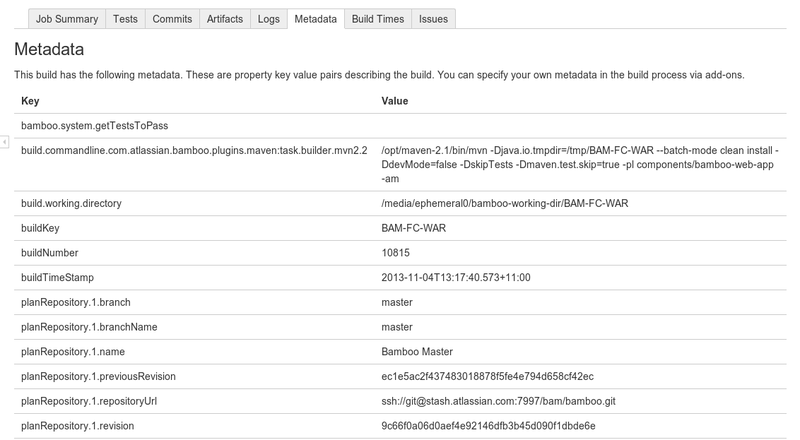 key-value properties that are used to describe your build) for your build results, Bamboo will display it. Navigate to the build results for the plan or job, as described in Viewing a build result, and click the desired build result.